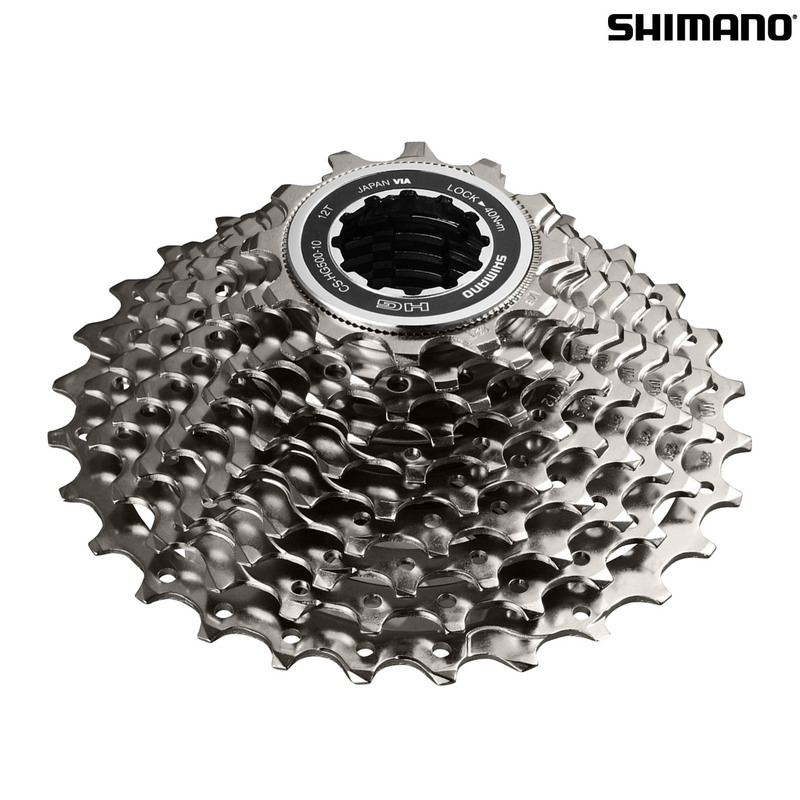 - High quality 10 speed cassette. - Hyperglide sprockets have a computer designed tooth configuration with contoured shift gates, resulting in a crisp smooth shift even under load. - Sprockets are cut away & drilled to reduce weight without reducing rigidity. - Nickel-plated finish offers hard wearing resistance to corrosion. - Corrosion-resistant steel cassette lockring. - For 10 speed road HG chains. I will be taking on some serious Hills over the summer and this cassette will be used to lighten the load whilst climbing. I currently have a 10 speed ultegra groupset, is this cassette a suitable replacement for my existing cassette which is a different ratio. there should be no problem with using this cassette and it should be a replacement in order for what you would like to achieve. Repaced my chain and now slips on one gear, after inspection you can see the gears most used have wear. Yes, but the ratio will not be 11-36, so your climbing gear will be sacrificed. Hi, I'm replacing a Tiagra CS 4600 10spd cassette 12-30t. Very confused about the CSHG coding. Is CSHG500 compatible with/same as CS 4600? Do you have anything else compatible? I like 12-30 teeth! Yes the CSHG500 would be suitable, but the ratios are different, 11-30t, but this would be fine, just give you a slightly harder largest gear. Although it is a larger cassette than what Shimano would recommend in reality with some adjustment to the b-tension screw it should be possible. This question supersed previous due to errors in question. According to the information from Shimano the older Tiagra 4600 derailleurs have a maximum sprocket size of 30 teeth, but the newer 4700 have a maximum sprocket size of 32t, so it does depend on what age your derailleur is. The design hasn't change a huge amount though so the older one still may be suitable for that cassette. Either way you will also need to adjust the limit screws on your derailleur.